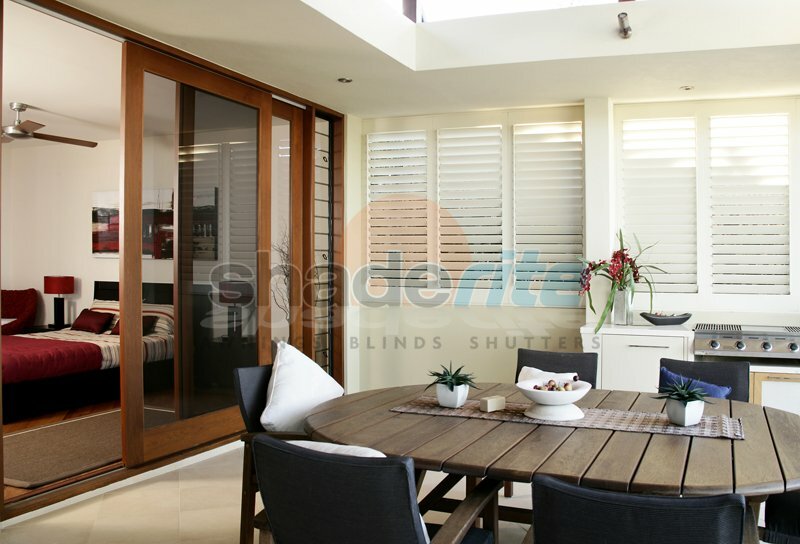 For durability, practicality and safety, Vinyl is a compelling material choice for your new shutters from Shaderite. Our vinyl shutters are constructed from a special polyresin, and are guaranteed not to fade, peel or crack and will never need painting. They are moisture resistant, UV stabilised and have exceptional fire retardant properties. Our Vinyl Shutters are extremely durable and require next to no maintenance to keep them looking pristine year after year. 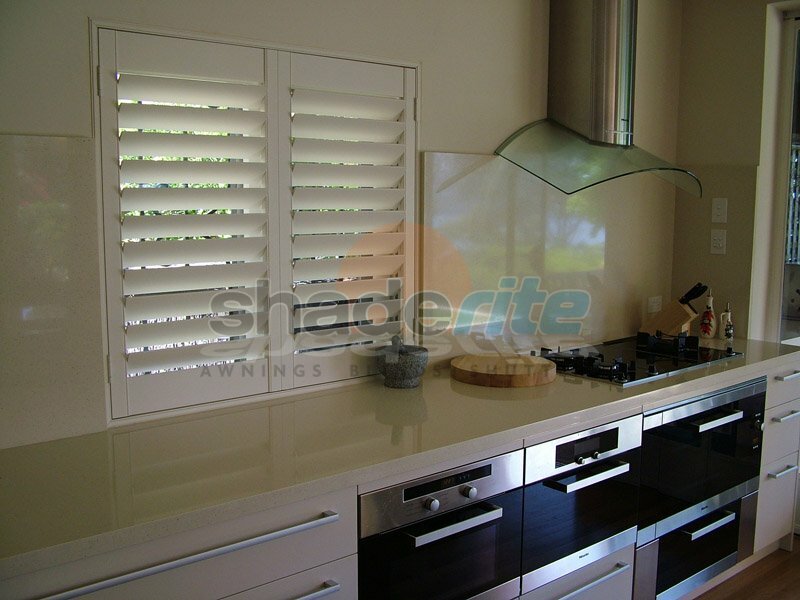 Because of their hard wearing dependability, Vinyl Shutters are perfect for wet areas such as kitchens and bathrooms where water inevitably will be splashed on to the shutter. Available in 64mm, 89mm and 114mm Louvre blade sizes, with a choice of 4 colours, they are fade resistant and will last a lifetime. They are low maintenance, and are easily removed for cleaning. Learn more about whether vinyl is the right choice for your home’s new shutter solution. Simply call us today for an obligation free measure, quote and consultation. Call us or send us an online enquiry. Vinyl shutters will continue to protect your home year after year while looking as fresh as they did the day that they were installed. Our showroom is centrally located in Brookvale in the Northern Beaches, and we proudly serve the greater Sydney region including the North Shore, Eastern Suburbs, Inner West, Sydney CBD and the Northern Beaches. For an obligation free measure, quote and consultation on all new vinyl Shutters projects, contact us today.